Now that the U.S. Senate has passed comprehensive immigration reform, the leader of California's largest farming organization says the House of Representatives should follow suit. California Farm Bureau Federation President Paul Wenger said the bill passed today by the Senate will help family farmers and ranchers address chronic problems in hiring an adequate, legal immigrant workforce. "People who work on California farms make a big contribution to our state and its economy," Wenger said. 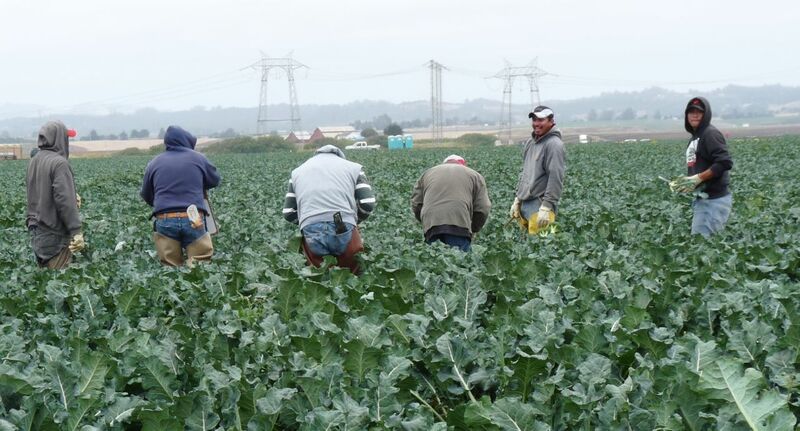 "It's time we provide immigrant farm employees with a system that recognizes their contributions and permits them to work legally on our farms and ranches." Wenger said the agricultural program included in the Senate immigration bill represents an agreement among agricultural organizations and the United Farm Workers on a system to benefit both farmers and their employees. It contains an agricultural program that accounts for people who want to enter the U.S. to work on farms and the people who are already in the country and can earn a chance for legal status while continuing to perform farm jobs. "People who are already in the country would have to pass a background check. If they don't have legitimate work documents, they should be required to pay a fine. They should also be allowed to come out of the shadows and continue to contribute to our communities," Wenger said. He noted that the program in the Senate bill represents a bipartisan compromise. "It's not perfect but it's a big improvement from current programs that don't work for either farmers or their employees," Wenger said, encouraging the House to adopt similar reforms.